Following the success of the debut women’s networking afternoon during Leeds Business Week 2017, the Yorkshire Mafia has confirmed a second session as the week-long celebration of business returns to the city from October 8-12 2018. Taking place at the Dakota Deluxe Hotel on October 8, the event, sponsored by Freeths, the full-service commercial law firm, and Learning Partners, the learning and development consultancy, will encourage professional women to come together, make new connections, and share knowledge in a relaxed and friendly environment. Supporting businesses and providing a platform for them to engage with colleagues, suppliers, prospects, and friends, the group maintains its ‘stronger together’ mantra, which highlights the importance of developing a network of trusted contacts that companies can call upon. Rachael Yates, partner and women’s network ambassador, of Freeths, said: “As a business our values are very much aligned with those of the YM; we place a real focus on long-standing, supportive professional relationships, as well as diversity and equality within the workplace, which is why we were so keen to support the women’s networking event, which aligns closely with our own new – Networking Events for Women – programme. Implementing a strict no-selling policy at all of its events, the YM, which boasts a network of over 22,000 members, supports organisations in establishing genuine and lasting social and professional relationships which allow businesses to fulfil their long-term goals. 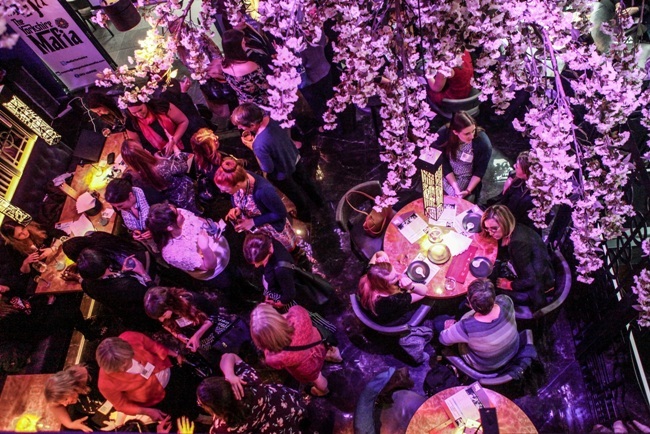 Taking place at Dakota Deluxe Hotel on October 8 from 1pm-4pm tickets for the women’s networking event cost £20pp and include two exclusively crafted cocktails and canapés. For further information on this and other events which are taking place during LBW, visit the website: http://leedsbizweek.com/events-seminars.